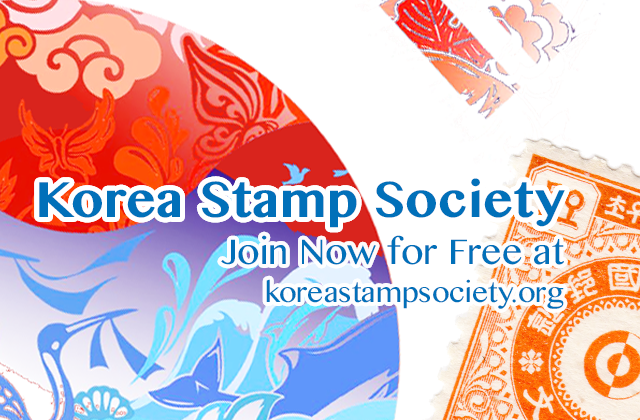 The actual date for the founding of the Korea Stamp Society is a bit vague and a subject of discussion recently among the KSS Board of Directors. Veiled in mystery, can one of our old-timers shed some light on this arcane matter? The first issue of Korean Philately is dated October 1, 1951, edited by Harold D. Bearce, and it was issued monthly thereafter. However, I think that the Korea Stamp Society was created later, perhaps around February of 1952. Here is some information from the archives; can anyone fill in more details? In the back-issue inventory of Korean Philately, I find the following comment from Bearce in Korean Philately, Volume 1, #3 (December, 1951): “The long range objective [of Korean Philately] is this: If at least 25 interested collectors of the stamps of Korea can be banded together, they can form a small specialty group, publishing a mimeographed journal periodically. … A publicity campaign has been started to find these collectors…. 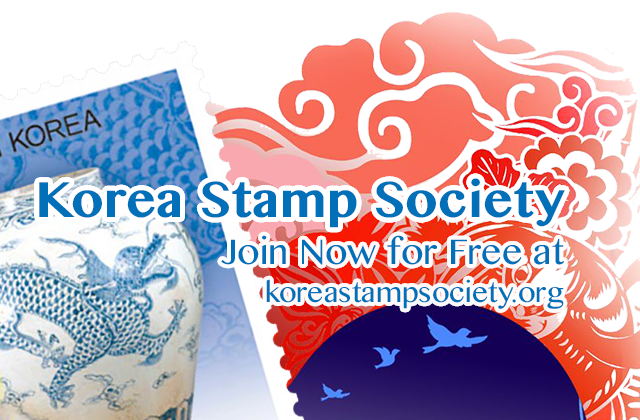 if you wish to help promote this advance organization financially, send the writer 50 cents in stamps.” From this comment, I surmise that the Korea Stamp Society did not yet exist in December, 1951. Reading through the remainder of KP, Volume 1, membership increased to 42 by September of 1952, and there is a detailed description of each member in the September issue of KP. Albert Kemmesies is President. Arthur Korzyn is Secretary, Forrest Calkins is Treasurer, Harold Bearce is Editor, James Kilmartin is responsible for Publicity, and Norman Townsend for Sales. If anyone can further illuminate this ancient history of the Society, I would very much like to hear from him or her.